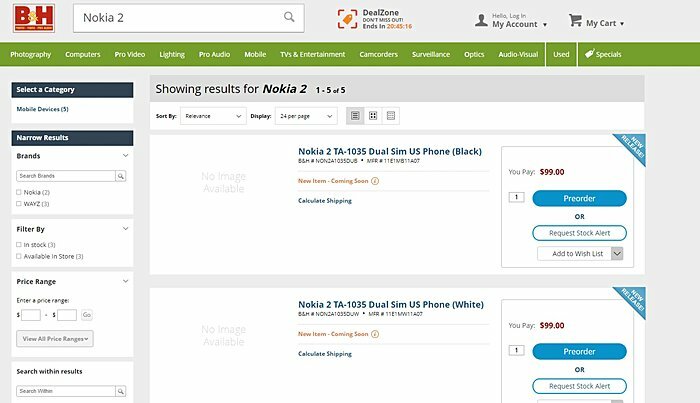 The upcoming entry-level Nokia 2 smartphone was briefly listed on a US retailer's website. The B&H Photo listing - which has since been taken down - not only revealed the device is coming to the US, but also gave away the phone's pricing - $99 - and color options (black and white). The phone recently got certified by authorities in Russia and is expected to go official sometime next month. 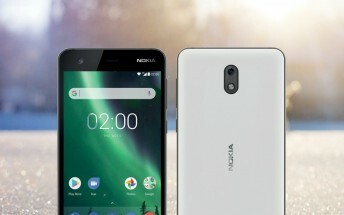 Leaks so far claim the Nokia 2 features onscreen buttons, which is unlike other Nokia-branded smartphones from HMD. Other rumored specs for the phone include Snapdragon 210 or 212 chipset and a 4,000mAh battery.